Jennifer Kent’s feature film debut, The Babadook, is a horrifying look into the downward spiral of a mother’s sanity as she struggles with her inner demons as well as the ones that lurk in the shadows. 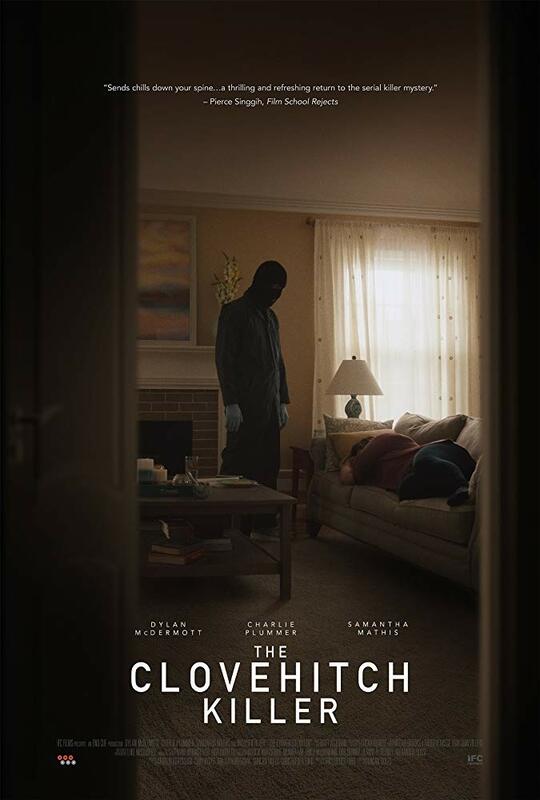 It’s a solid first outing from the Australian director as it centers on a single mother, plagued by the violent death of her husband, who battles with her son’s fear of a monster hiding in the house only to discover a sinister presence all around her. 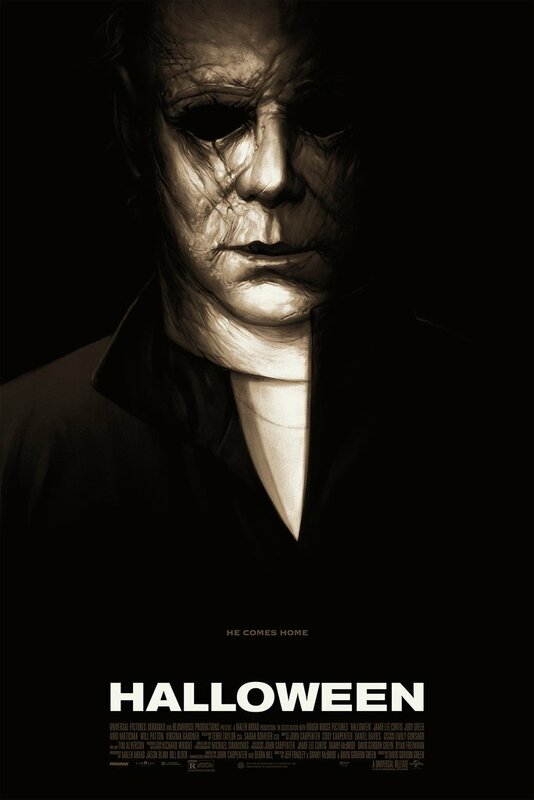 With it being one of the most talked about genre films of the year, how would it stack up to all the hype? What the film does great is that it actually spends time developing its two main characters—Amelia and her son Samuel—peeling back the layers of what their lives are like after the death of Samuel’s father. Life is far from easy for Amelia now that her husband is gone as she struggles with raising a child all on her own, especially with Samuel acting out his frustrations on everyone around him. It’s not an over the top, sugar-coated relationship between a mother and son as Kent is far more interested in showing us what the darker side looks like. In doing so, when things finally unravel for this poor family it’s all the more terrifying. One night, Samuel finds a children’s book entitled Mister Babadook and asks his mother to read it to him. And although she can’t recall where it came from, she begins reading what few words are found inside the pages and quickly realizes that it’s far from innocent. Filled with menacing words and eerie pictures of a monster springing from the shadows, Samuel becomes obsessively terrified of the creature who calls himself The Babadook. But is the monster just something a boy’s damaged mind conjured up in order to cope with the pain surrounding his dead father? Or is there really something sinister tip-toeing through the night while they both sleep? It’s from this moment forward where the film battles between being a psychological slow-burn and that of typical haunted house fare. If The Babadook wasn’t being so brilliantly carried by the wonderful Essie Davis—who plays the mother in the film—then I’m afraid The Babadook doesn’t really have much of a leg to stand on because the scares and its titular monster are just plain boring. I wish Kent would have just cut out all of the haunted house nonsense and focused on Amelia losing her mind within the walls of her own home. That was the only part of The Babadook that is truly terrifying, the rest is just fluff and creepy noises. Beyond Davis’ frightening and masterful performance, the scares are few and far between if there are any at all. The film is much more powerful when the only thing you see is The Babadook pulling on the strings of Amelia’s sanity. It almost relies too heavily on a creature that occasionally pokes its head out of the dark corners of a room rather than the one true monster in the movie—the mother. The Babadook is a mixed bag of horrors, one that got caught up in the hype machine far too early. It’s certainly a solid debut from Kent, shining a light on the notion of battling your inner demons and locking them away in the basement where they stir in the dark, waiting to escape. And while it may not be the “most terrifying film in years” like a lot of people seem to be making it out to be, it features an unforgettable performance that, at times, takes it to a place that is rarely touched in the genre. My thoughts exactly, I gave it a 3.5 also! Great write-up! Thanks man! Yeah it’s a solid flick but a bit over hyped imo. Pity. Had been hearing (well, reading really) a lot of great things about this but like you point out, it very well could be another case of getting caught up in the hype machine too early. Lots of films do this nowadays. Either that, or I should stop reading so much *before* movies get released just so I don’t get overly excited myself! I think I’ll give this a shot if and when we get it here in Tennessee, specifically for the solid performance from the mother character. Nice work Ryan . Thanks! Yeah, I felt the same way about You’re Next. Solid film but it had been WAY over hyped. The Babadook is worth checking out as long as your expectations are in check. Brilliant acting in it, though. Worth a watch for Essie Davis alone. Haha exactly. If characters in horror movies weren’t stupid, though, then you wouldn’t have much of a horror movie. I disliked all the parts with the actual Babadook. The mother going crazy was great, though. I find that a lot of horror flicks are majorly over-hyped and commercialized nowadays. Oculus, Ouija, Annabelle, and this one have all been blowing up on the internet and tv, only to let the viewers down once they actually see them. It makes it hard to keep your anticipation alive, especially if you’re a fan of the genre. Totally agree. And it’s hard to ignore all the hype, too! Excellent write up Ryan! I like how you managed to churn it out in sequence still… today marks the third day of our Babadook reviews hahahahahaha! I thought the movie did wonders in terms of a little budget flick and had some pretty good performances. Very solid movie, that’s for sure! Gli americani non capiscono nulla di film dell’orrore. The Babadook è un masterpiece, perchè offre una bellissima screenplay, attori ottimi e una realizzazione perfetta..personaggi ottimamente caratterizzati. La paura e lo spavento sono soggettivi. It’s a good movie but far from a masterpiece. Outside of Davis’ performance, there’s not much else going on. It’s a lot of the same ol’ stuff the genre has been pouring out for years. I liked this more than you but still have the same score…..weird. My thoughts will be up soon, but I agree with you that it wasn’t scary in a traditional way, as I expected it to be for a horror movie anyway. Looking forward to seeing what you thought of it. It’s a solid movie, that’s for sure! A solid movie indeed…i couldn’t agree more with you!! I loved Amelia and the way her character evolves!! So… The babadook is actually the result of Amelia’s husband tragic car crash??! A good movie, I agree.. It sounds like Essie Davis is amazing in this. You made a good point – there can be no horror greater in a film than a mother who’s going crazy. Just the thought of it makes a person uneasy. This sounds like one to watch for. I just watched yesterday. I actually thought it was really good all the way across the board. It’s a drama dressed-up as a horror. I thought the Babadook villain was creative and the book was creepy as f**k! This is my kind of movie – one that keeps you guessing and even warrants a second watch. It’s definitely a solid film, that’s for sure. I just thought that The Babadook itself was dragging the movie down. Anytime you actually see him, it cheapens everything that was so wonderfully built up by Davis. I agree. I am not scary movie aficionado and used to get scared at the “Scary Movie” sequels! HA! I sat through Babadook with very little reaction if that tells you anything. I’ve seen worse things via a hangover. Hahah, that must have been some hangover! I really enjoyed this movie, but I wouldn’t consider it to be a horror film because it was not intended that the babadook is an actual monster – the babadook is the manifestation of the mother’s mental illness compounded by dealing with grief and a very difficult child whom she resents and blames for the death of her husband.. She wrote the book herself (there are several clues towards this in the film) and everyone around her is aware of the illness. The son keeps saying that he doesn’t want her to ‘go away’ and the neighbour is concerned about her because that time of year is so hard for her. There is never any specific mention of whether the community health workers are there for her or her son. The implication is that she has an recurring illness which has consumed her. By the end of the film she has managed to contain it and live a normal life, rather than being plagued with grief and resentment towards her son. So, for a psychological thriller I give it a 10, but if it were a horror film instead, it would be disappointed. I really recommend a second watch and you can see how brilliantly done it is. I really enjoyed this movie, I didn’t know anything about it before I saw it so it was a total surprise. I enjoyed the acting immensely, and I even had a bit of the heebie-jeebies! I found it quite creepy actually. But I frighten easy, haha. Wow, I’m surprised you were able to go into this one without hearing about it considering it was easily the most hyped up and talked about horror movie of last year. The acting was top notch, really phenomenal stuff from Essie Davis. I think it made it better for me because I was like “Woah!! Have people heard of this? !” They had. Haha. I wish we could all go into movies blind like that! Yeah it definitely was, which kind of killed it for me. It’s still a solid movie, just way over hyped. Shame when that happens. What other movies did the same for you? Most recently I’d say Arrival—it’s a decent movie but the overwhelming hype made me think I was going to get something much better.